Roswell and Alpharetta dental implant patients have the distinct advantage of our advanced imaging capability and 3-D guided placement assistance protocol. Without this highly valuable tool, other dental professionals must estimate the placement of your dental implants, limiting the effectiveness of this all-important step. In the course of a typical dental implant procedure, the placement of the implant posts is determined with an educated guess and the location of any remaining teeth and the contour of your gums and jaw which helps the Doctor choose the point of placement. 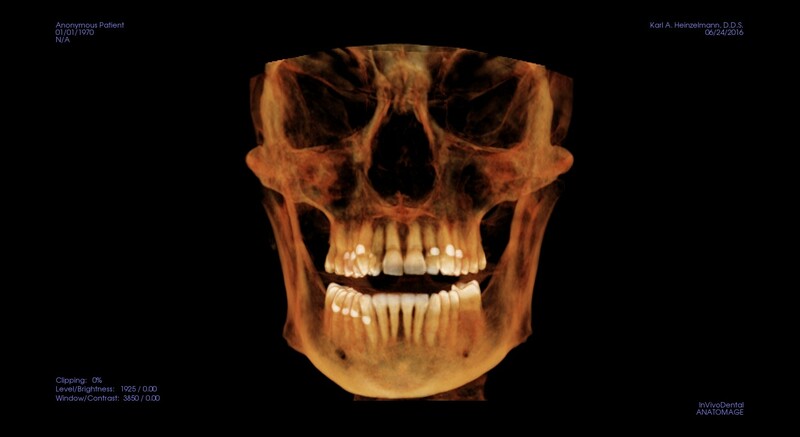 With our 3-D precision-enhancing technology, the guesswork is removed from your procedure by using a 3-D image of the skull and then performing a “virtual surgery” on the computer model with trial implant placement. After the ideal position is calculated on the computer model, a surgical guide (template) fabricated from a 3-D printer is used to hold the implants in position during the surgery and the implant is placed in the mouth as an exact copy of the computer model. 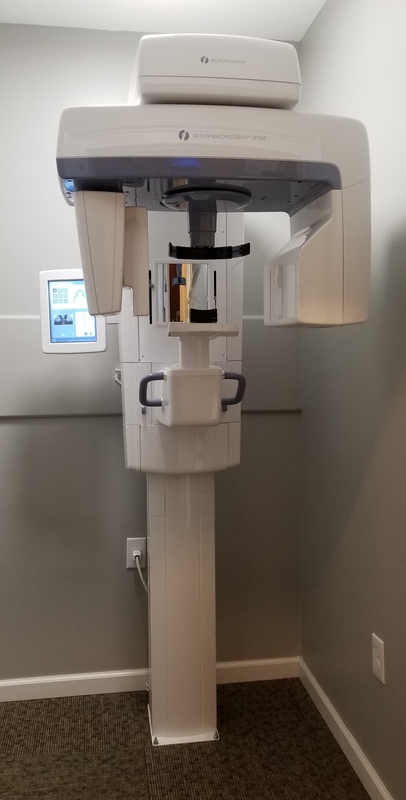 At Periodontics and Dental Implants of Roswell, our office is equipped with the latest and state-of-the-art dental technology, including our Cone Beam 3-D CT Scanner. 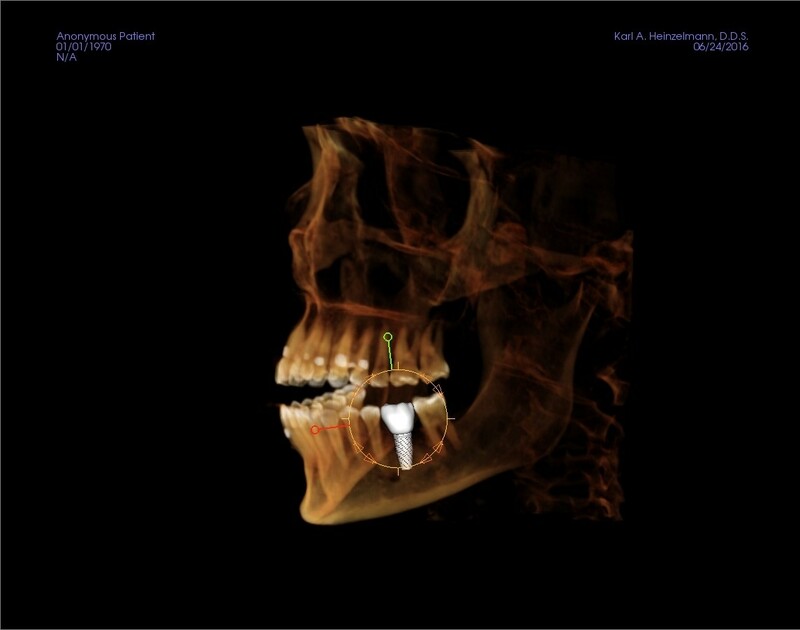 This cutting-edge digital imaging system creates a 3-D computer image of the patient, including the unique jaw and dental structures, which are both reviewed by Dr. Heinzelmann and an implant placement treatment technician. After the customization of the case is complete and presented to the patient, the case is transferred to our trusted lab. There a custom 3-D surgical guide is created for the precise placement of your dental implants. Dr. Heinzelmann’s skill and expertise in using 3-D dental guides ensure perfect dental implant placement every time and has helped his patients achieve the beautiful function and smiles they seek. Dr. Heinzelmann is uniquely qualified to determine the optimal placement of the implants because he has a second specialty degree in Fixed Prosthetics and Occlusion and the actual final restoration is designed first on the computer model and the final restoration determines the number and size of the implants needed. 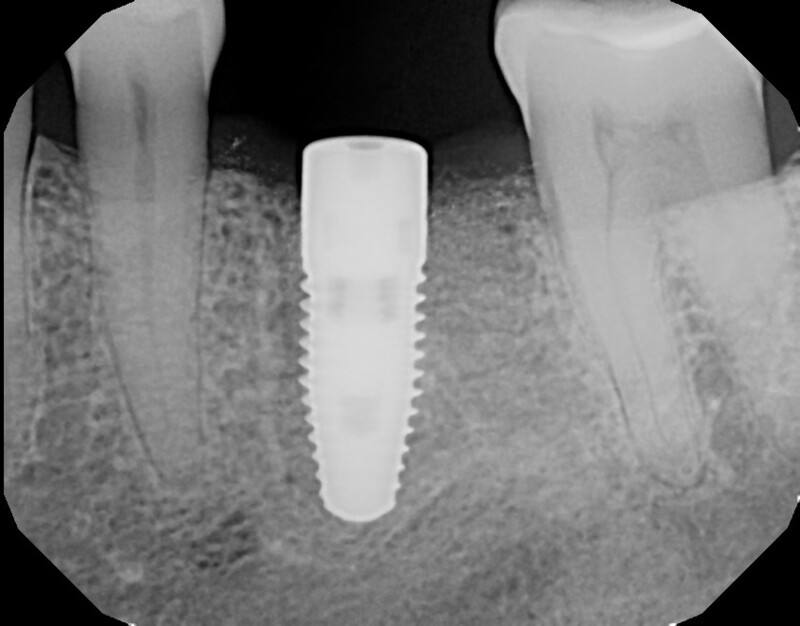 This is appreciated by the Dentist who restores your case because the implants are in the exact position for the crowns to fit achieving an ideal result. 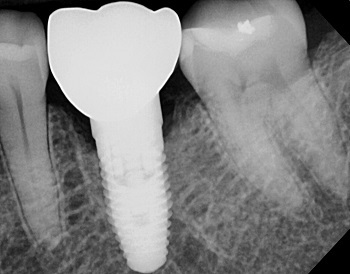 This technique allows your Dentist to know in advance how to restore the implant without requiring compromises from poor positioning. Having a scan with a 3-D Cone Beam CT is quick, non-invasive, and painless. 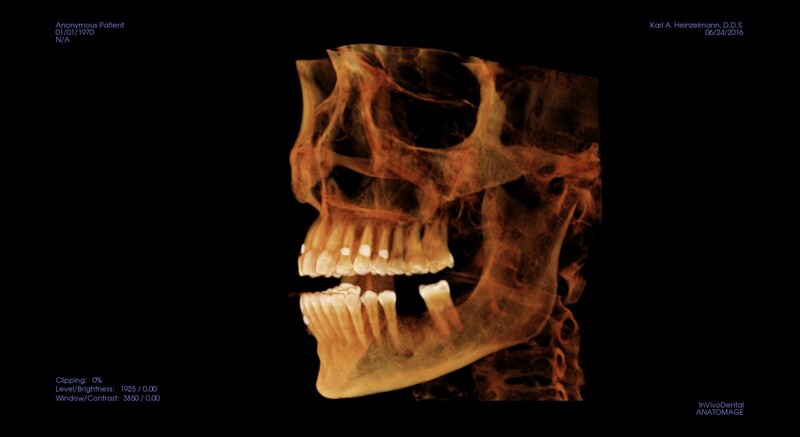 A detailed scan of your head, neck, and jaw only takes seconds to complete. All you have to do is stand under the scanner as our technician adjusts your head slightly to make sure you are in the correct position. You will hold on to the handles and lightly bite down on a comfortable mouthpiece while the scanner revolves around you. 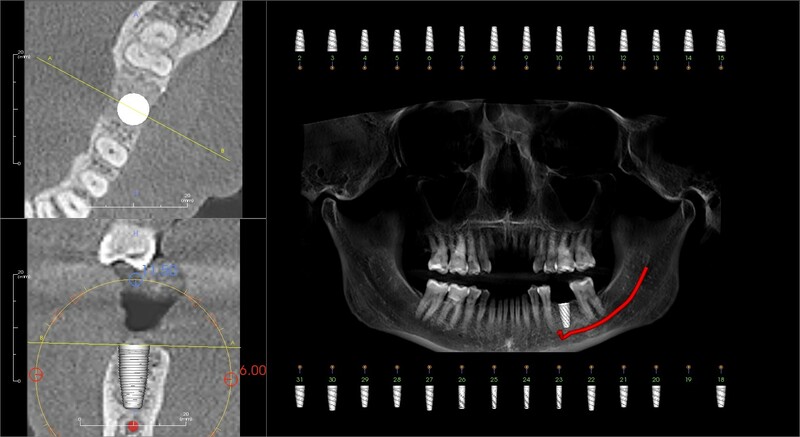 For those that require bone grafting before having an implant placed, our Cone Beam 3-D CT scanner also provides a comprehensive look at bone volume and allows Dr. Heinzelmann to see exactly what areas may need augmentation PRIOR to the surgical procedure. By knowing the exact shape and size of the structures in advance of the surgery this allows Dr. Heinzelmann to be fully familiar with the placement procedure in advance. We can also study the smallest details to plan for and tailor your treatment plan to reduce or avoid the possibility of complications. More efficient, accurate, and reliable implant placement is available at Periodontics and Dental implants of Roswell. If you are interested in learning more about 3-D Guided Dental Implantation in the Roswell and Alpharetta area, call Dr. Karl Heinzelmann today! If you are interested in learning more about 3D Guided Dental Implantation in the Roswell and Alpharetta area, Call Dr. Karl Heinzelmann today!